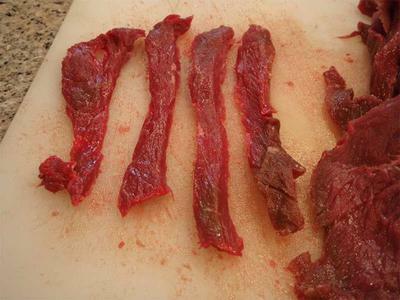 Meat from any of the deer species goes very well with Korean, Southeastern Asian and Indian cuisine. Broil at 450F to 500F until sizzling, flip the strips, broil again until sizzling. Serve over sushi rice with raw sliced bell peppers on the side and pears. Moose Curry and Moose Pho are definitely runners up. Thanks for sharing the recipe Steve, we will be trying this one on our barbeque this summer for sure. It sounds delicious! Join in and write your own page! It's easy to do. How? Simply click here to return to Moose Recipes .